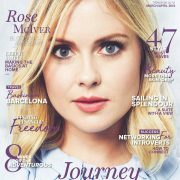 Rose has been featured in ‘Woman’s Day Magazine NZ‘ from April 1, 2019 Issue. “When I come back here, I feel like I decompress and exhale,” the actress says of returning home. 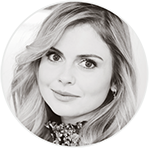 She’s one of our top acting exports and now Rose McIver is surprising Kiwi audiences with the revelation she can sing too! 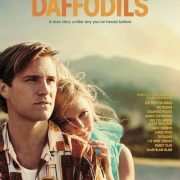 In the new musical drama ‘Daffodils‘, the ‘iZombie‘ and ‘The Lovely Bones‘ actress belts out gorgeous covers of local classics by bands such as Crowded House and the Exponents in a soul-stirring voice worthy of a recording contract. But what is perhaps even more surprising is the fact Rose once fancied herself a rapper! “Oh, yeah, I had some very questionable rapping days,” the Los Angeles-based Aucklander, 30, tells Woman’s Day, giggling as she recalls how her dreams of hip-hop stardom died in her awkward preteen years. Sadly for Rose – who still listens to rappers Drake and Frank Ocean – it’s not the only musical disaster of her youth. She also recalls a “really terrible” performance of Bic Runga’s “Sway” at her Glen Eden Intermediate School talent quest. Fortunately, in bittersweet love story ‘Daffodils‘, she gets to redeem herself with a touching version of the singer’s hit “Drive”. Another Kiwi artist Rose admires is “Somebody That I Used to Know” singer Kimbra, who just happens to play her daughter in ‘Daffodils‘. Also in the film is Invercargillborn actor George Mason, who quit ‘Home and Away’ after four years of playing Summer Bay bad boy Ash to star as Rose’s on-screen husband in ‘Daffodils‘. She starred in her first short film at just 18 months old and made a brief appearance as a toddler wearing angel wings in ‘The Piano‘ at age three, which led to stints on ‘Shortland Street‘ and ‘Hercules‘, then the lead role in children’s fantasy series ‘Maddigan’s Quest‘. The actress credits attending a public high school, rather than being home-schooled like so many child stars, as the reason she’s never gone off the rails. Since shooting to global fame after starring alongside Susan Sarandon and Mark Wahlberg in Sir Peter Jackson’s ‘The Lovely Bones‘, Rose has spent eight years based in the States. 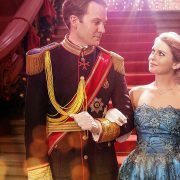 She’s just finished filming the fifth and final season of cult comic series ‘iZombie‘ , and her next gig is a second sequel to surprise Netflix hit ‘A Christmas Prince‘. However, Rose hopes work will bring her back to Aotearoa very soon.